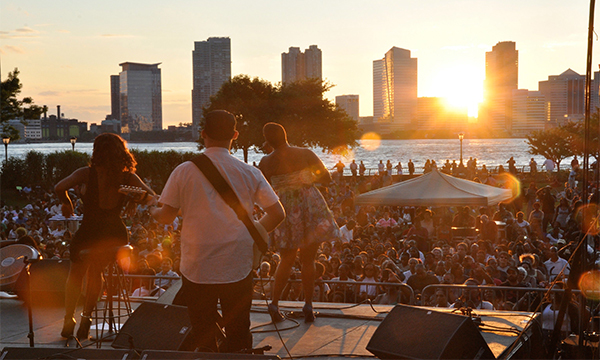 The sun is out, rooftop bars are in full swing and a plethora of concerts have taken over Manhattan’s parks - it’s summertime in New York City! 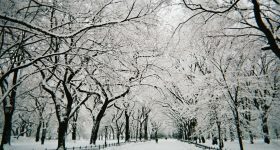 From experiencing the best events and festivals to catching the season’s hottest Broadway shows and food tastings, Gotham has something to satisfy everyone. 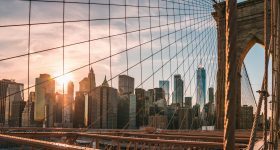 To ensure your love affair with the city is nothing short of amazing, we’ve rounded up the best 100 things to do in NYC this summer. 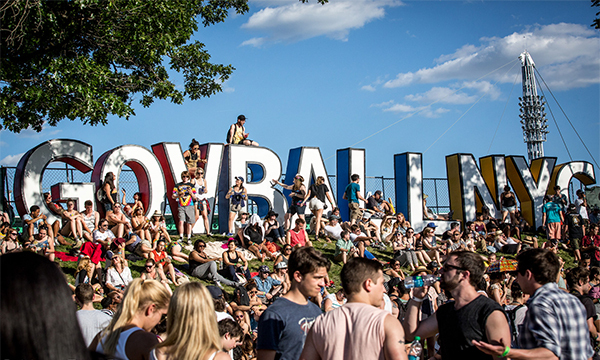 A joyous celebration of the unrelenting spirit of New York City, the 2017 Governors Ball will be headlined by Chance The Rapper, Lorde, Wiz Khalifa, Childish Gambino, Tool, Wu-Tang Clan and more! 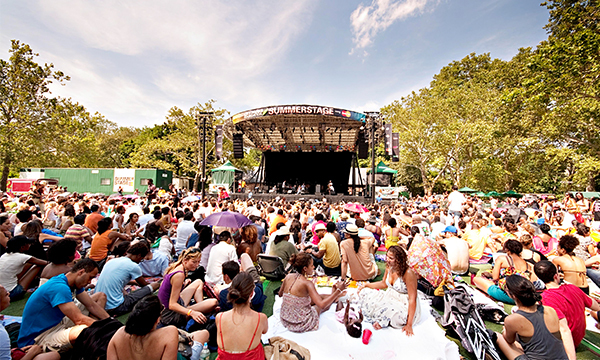 Fresh talent, summer-themed concerts and shows that don’t cost a cent - Central Park SummerStage is the place to be. Catch performances by Jim Jones, Capone-N-Noreaga, Slick Rick the Ruler, MC Lyte and many others. 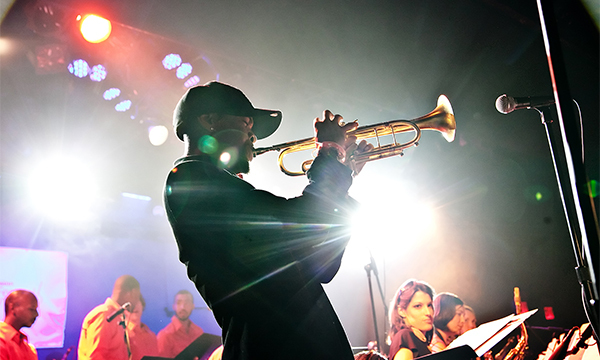 Soak up soothing jazz tunes from artists who love their craft at the hottest jazz-inspired venues across the city. Headlining the festival are the Dirty Dozen Brass Band, Pat Metheny, Terence Blanchard and more. 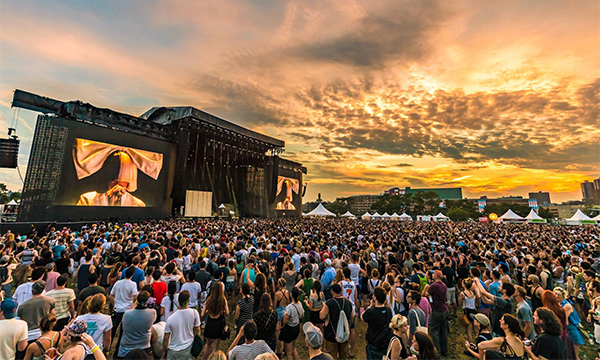 An annual event held in Brooklyn, this festival is a constellation of different forms of art, creativity, inspiration and more. Over 100,000 pioneers in various fields of music and art come together from around the globe for 8 days of discovery and innovation. Featuring the innovative Panorama stage (with giant video screens extending up to 170 degrees for an immersive experience), a 360 degree virtual reality theatre and an open air club, this year's festival guarantees a rollicking time. Headlining acts include Frank Ocean, Tame Impala, A Tribe Called Quest and more. 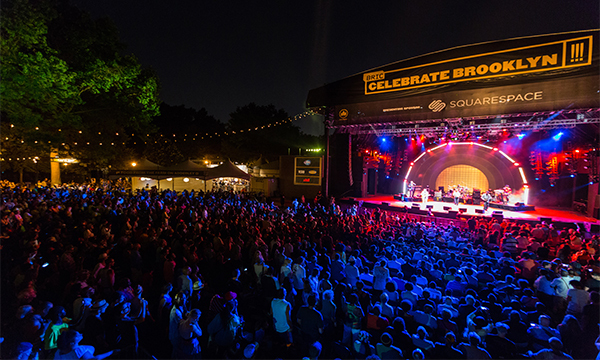 Join this summer-long celebration of everything Brooklyn in Prospect Park. Featuring established artists and up-and-﻿coming﻿ artists, the BRIC Celebrate Brooklyn is one of the most popular events in the city. 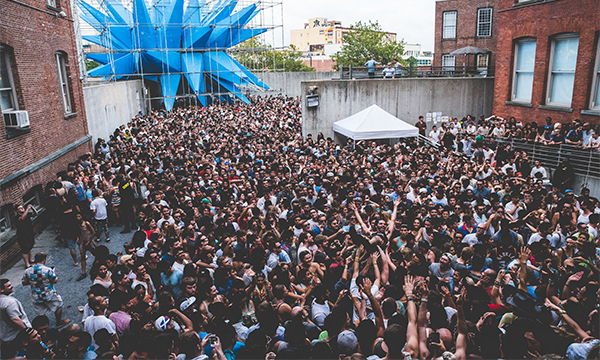 Conceived in 1997 as a summer-long dance party featuring international DJs and local live musical acts, MoMA PS1's Warm Up has been hosting crazy fun events ever since. 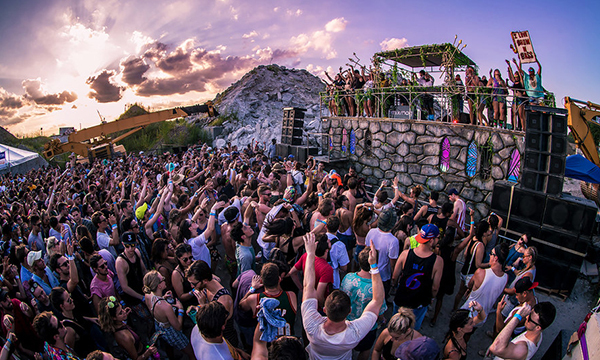 With a pronounced emphasis on experimental music, Warm Up offers a unique, engaging spin on summer concerts. 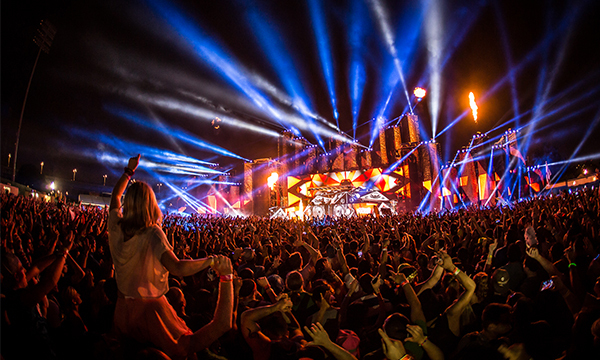 Featuring performances from DJ Snake, Above & Beyond, Zedd, Deadmau5, Galantis, Armin Van Buuren and other fantastic acts, this year’s Electric Zoo Festival is gearing up to be one of the biggest EDM events this season. 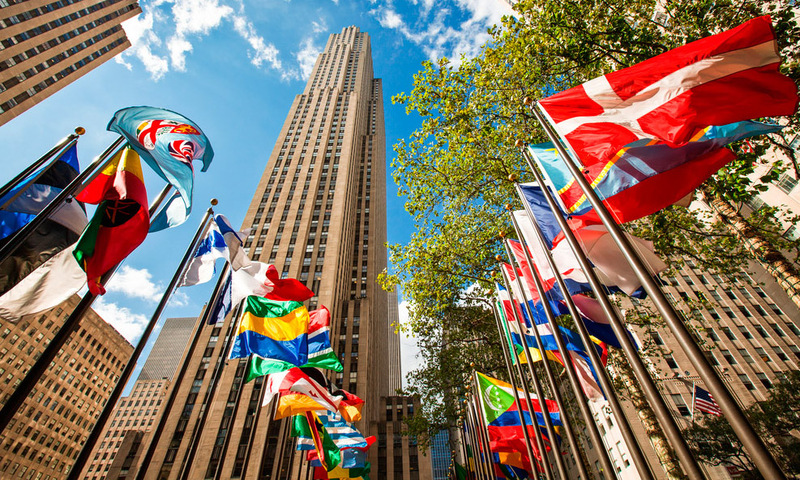 Held annually in NYC, this international event promotes awareness on gender equality, environmental and poverty issues. Star musicians perform in order to bring attention to these incredibly important concerns. 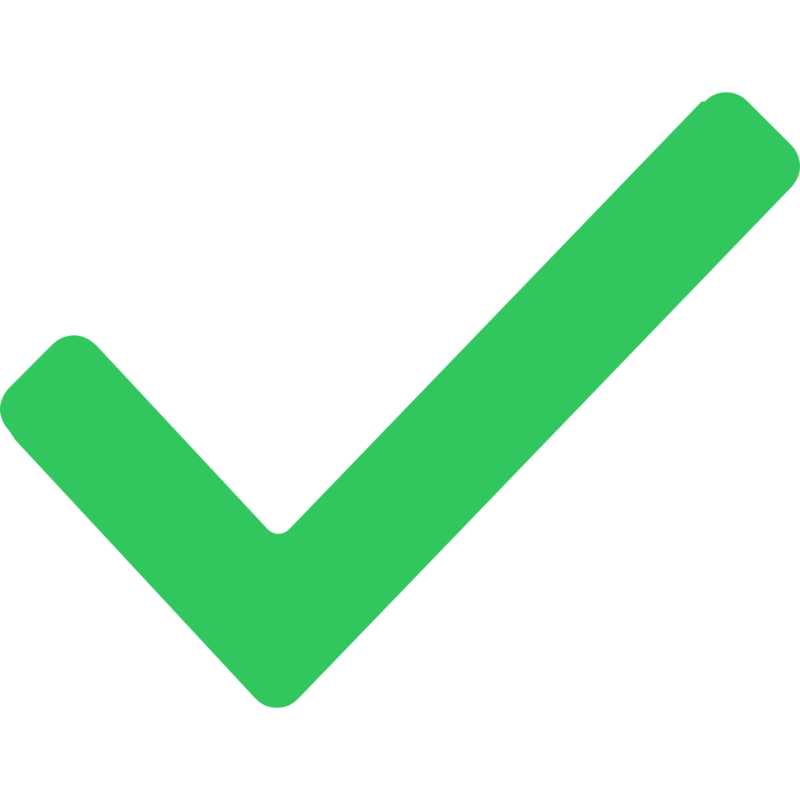 People can receive free tickets upon completing "action journeys," which involve convincing various organizations to pledge money for a cause. Blurring the line between dance party and festival, the Full Moon Festival brings the unique taste, sound and sight of New York City to Governors Island. 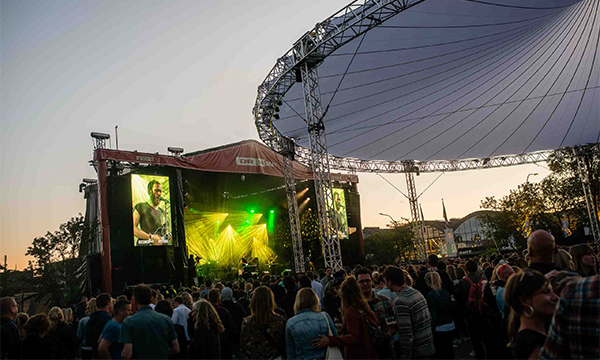 With performances by both established artists and fresh, new talent, the festival is a powerful showcase of the love and discovery that fills each corner of the city. 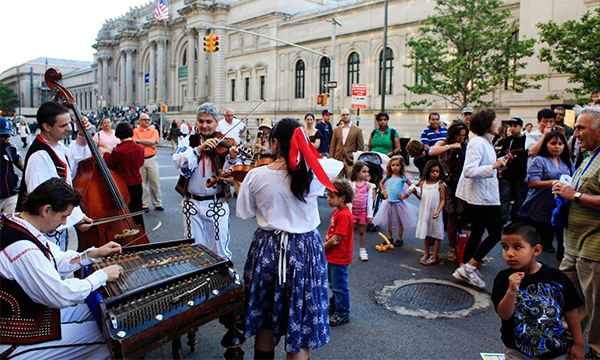 Showcasing forward thinking and boundary-breaking artists from lower Manhattan and Governors Island, the River to River Festival is a 12-day celebration of the performing arts. This year's festival will feature a multimedia opera about Robert Moses and Jane Jacobs, a concert by Amir ElSaffar and open studios for artists across lower Manhattan. Film geeks, unite! 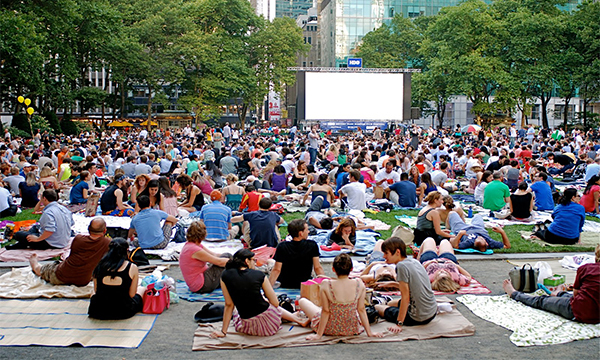 The Bryant Park Summer Film Festival is a celebration of some of the most critically acclaimed movies of our times, followed by an enriching post-film discussion. This annual parade transforms Coney Island’s boardwalk into a colorful sea of glitter, scales, and fins. With quirky rituals, incredible displays and a mythical spirit, the community of artists showcase their proud, frivolous and personal vision. 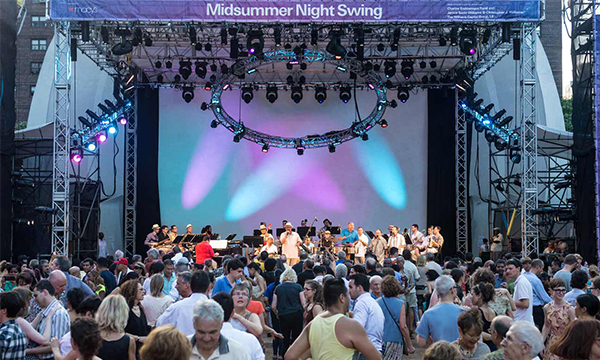 Swing under the stars to the electrifying sounds of the best local, national and international artists at New York’s hottest outdoor dance party. Arrive early and start your night off with a free dance lesson! 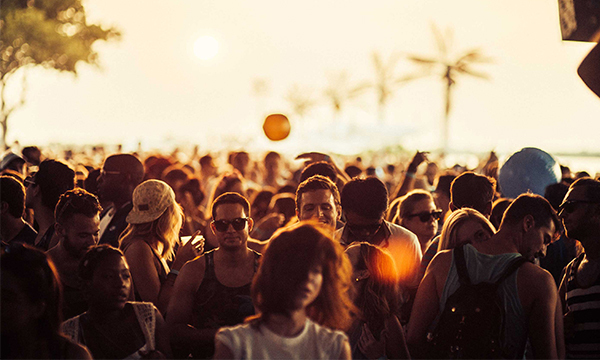 BangOn!NYC is back with its annual summer music and art festival. The event will feature musical performances across five stages, interactive art installations, 3D projection mapping, food vendors, exotic clothing and jewelry vendors, rides, fire breathers, circus performances, and more. 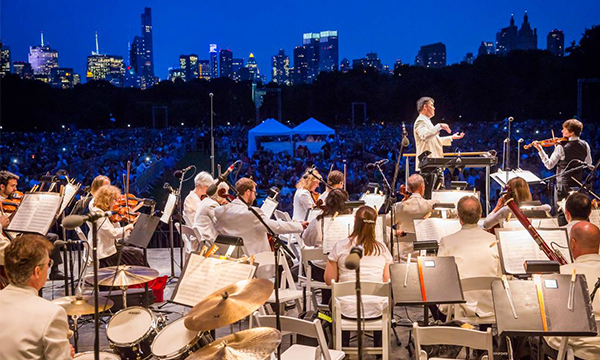 Hear the best classical music under the stars! Presented by Didi and Oscar Schafer, this season celebrates the Orchestra's 175th year with the 'New Word Initiative', a citywide project that explores Dvořák’s symphony and its theme of home. Young Met stars, soprano So Young Park, tenor Petr Nekoranec and baritone Hyung Yun will perform favorite arias and duets in a series of concerts with pianist Dan Saunders. 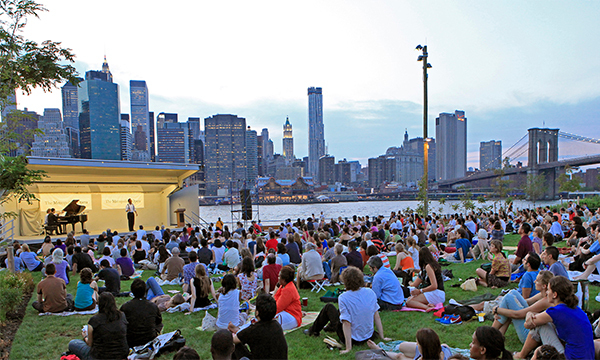 Presented by the Met Opera, the series features performances at parks across all five NYC boroughs. 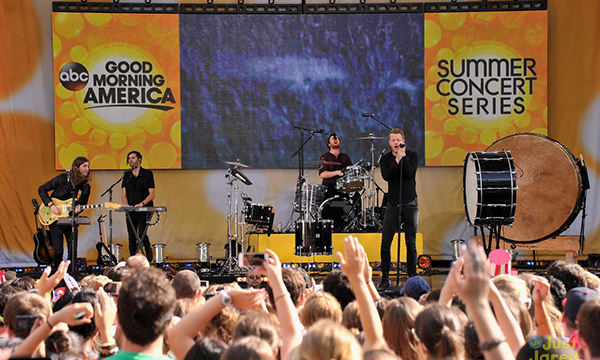 Back for it’s ninth year, ABC’s GMA summer concerts will take place during the live filming of each show, every Friday morning from 7am - 9am. 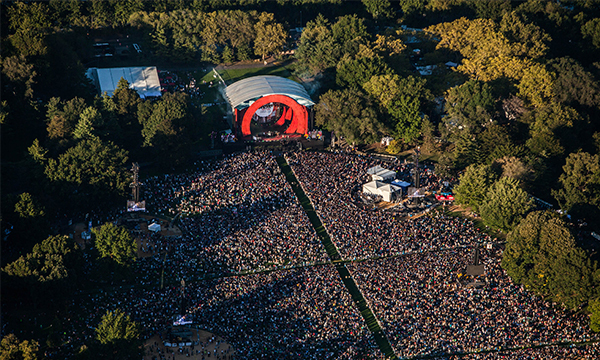 Watch some of the biggest names in music perform at the iconic SummerStage in Central Park. 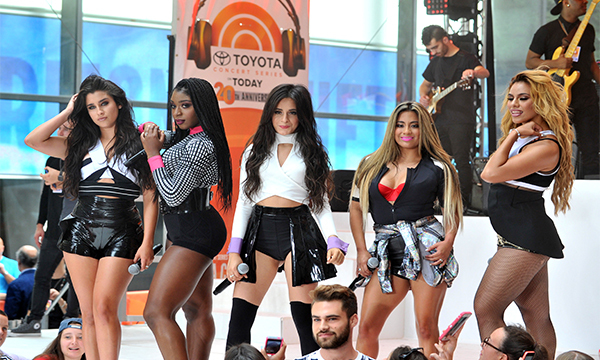 Image Source: Just Jared Jr.
Thousands of music fans flock to the Rockefeller Plaza to catch a glimpse of their favorite musical artists performing live on the Today show. This summer, let one of those fans be you! Viewing is provided on a first-come, first-served basis outside Today’s window-on-the-world studio. 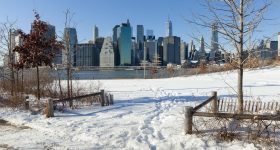 Since the year 2000, over 340,000 moviegoers have been experiencing the magic of watching a classic film amidst the dazzling Manhattan skyline. 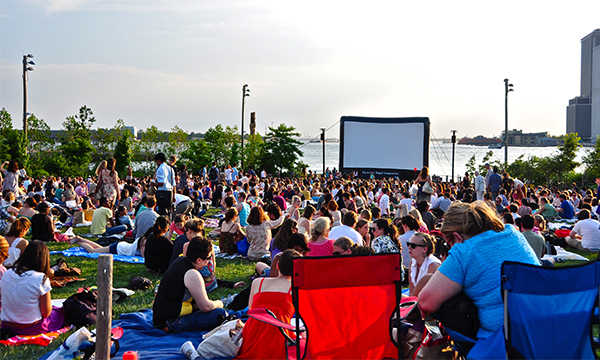 Join other film fans for one of NYC’s favorite summer outdoor movie nights. 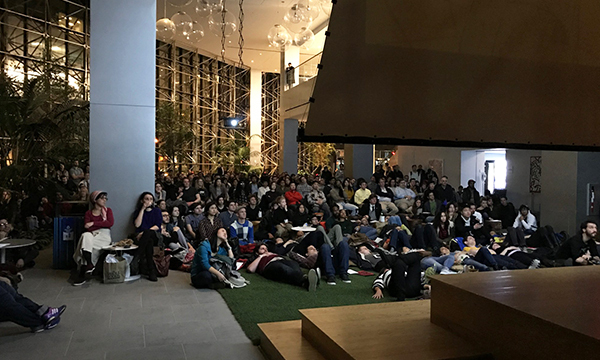 A unique alternative to the traditionally movie night, Animation Nights offer a chance to see ﻿select﻿ animated short films and virtual reality experiences from all around the world. Sit back in a lawn chair, cuddle up with a blanket, and watch a movie under the stars aboard a ship’s flight deck. The city skyline and Hudson River views are bound to be as amazing as the film! Visit an illuminated 911 Memorial in this special and unique tour of the powerful testament to sacrifice and heroism. Learn about NYC’s iconic monuments and watch as they light up Manhattan’s sky. No New York experience is complete without a trip to the top of the Empire State Building. 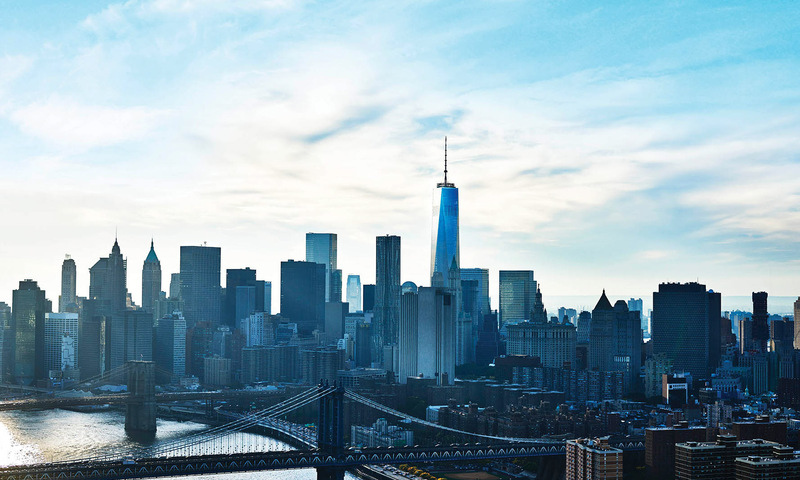 Climb 1,050-ft into the sky and witness the beauty of Manhattan’s skyline and water bodies. Wake up early and watch the sun rise over lady liberty or time your visit for a stunning sunset over Times Square. 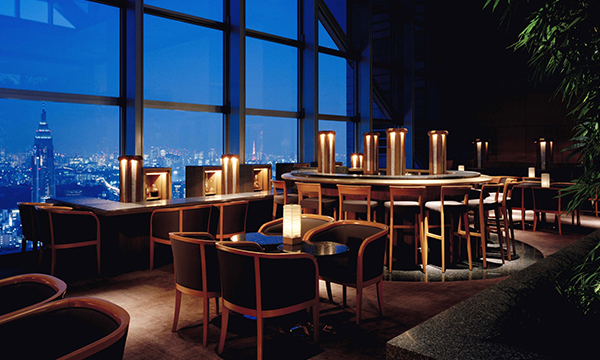 Soar 70 floors into the sky and take in stunning 360-degree views from indoor and outdoor viewing areas. 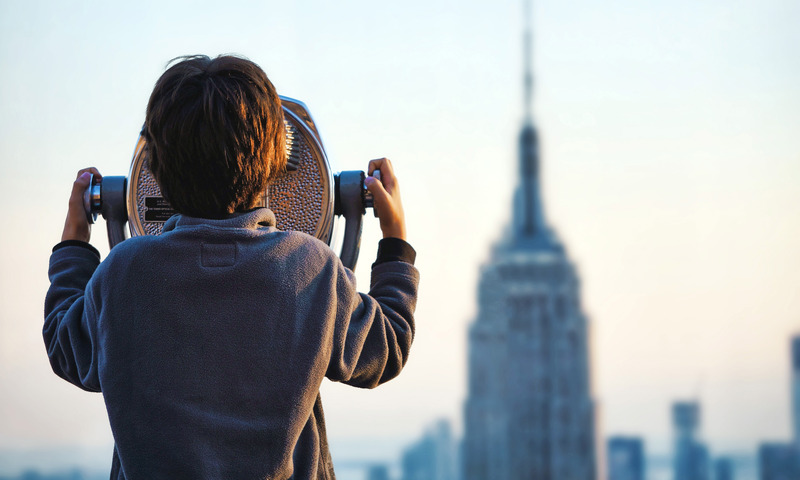 From the Top of the Rock, you’ll have the best vantage point of iconic NYC monuments including Freedom Tower, the Empire State Building, the Chrysler Building, the Brooklyn Bridge, the Statue of Liberty and more. Enter the One World Trade Center, a.k.a. 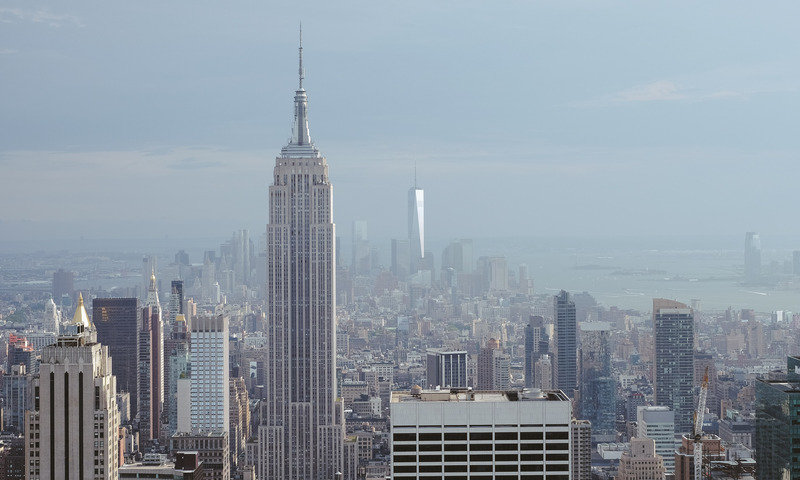 The Freedom Tower, and climb onto the out-of-the-world Sky Pod elevators to ascend a whopping 1,254 feet in just 60 seconds! The views from the 100th floor observatory and Sky Portal will make you feel like you’re floating above the city. Spanning six floors, MoMA's collection numbers more than 150,000 works of art, along with a substantial film and photography collection. 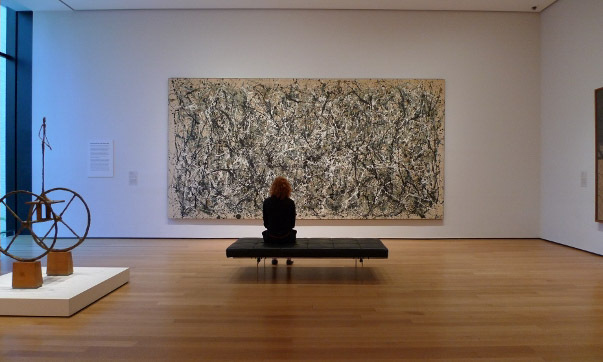 See world famous art, including ﻿﻿Vincent﻿﻿ Van Gogh’s The Starry Night, Andy Warhol's Campbell's Soup Cans, and Jackson Pollock's One: Number 31, 1950. 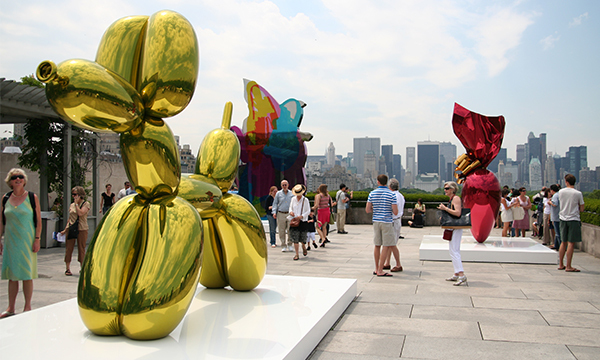 NYC’s MET holds the honor of being the largest art museum in the country. 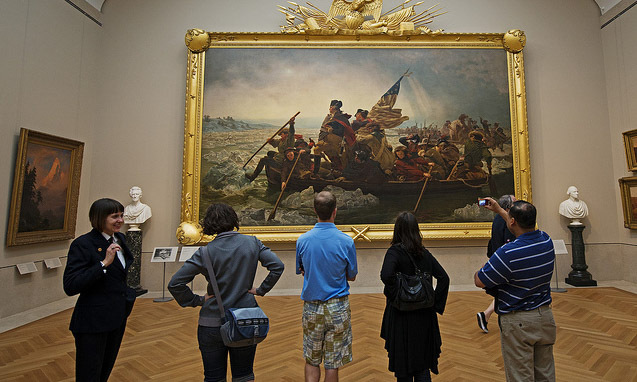 Explore over 2 million works of art that span over 5,000 years of history. MoMA's collections showcase some of the best human creativity from across the globe. 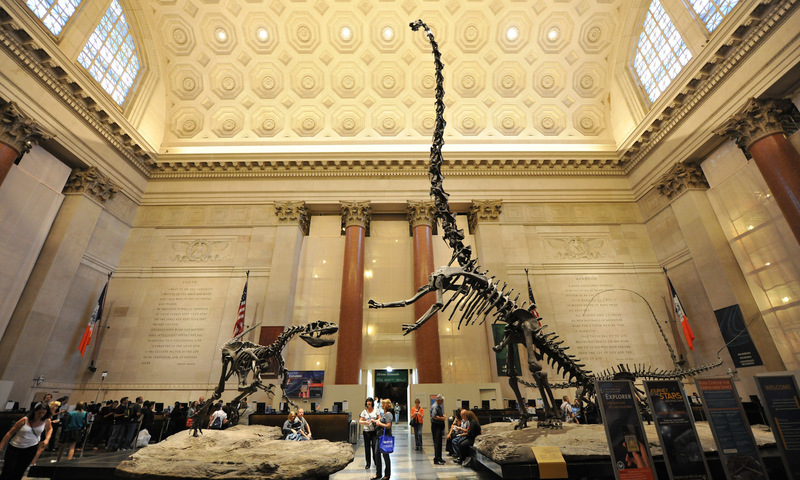 Founded in 1869, this museum is one of the largest and oldest in the world. See dinosaur bones, explore distant galaxies, check out the colossal Hayden Sphere at the Rose Center for Earth and Space and much more. 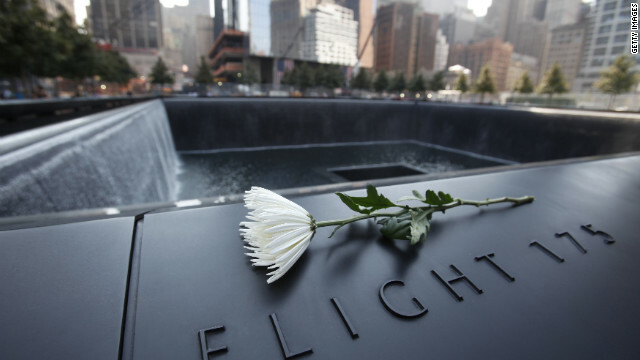 This iconic landmark, located on the original site of the twin towers, pays homage to the victims of 9/11. Memorabilia, multimedia exhibits and artefacts adorn the museum and take you deep into the history of the towers and the tragic events that led to its fall. 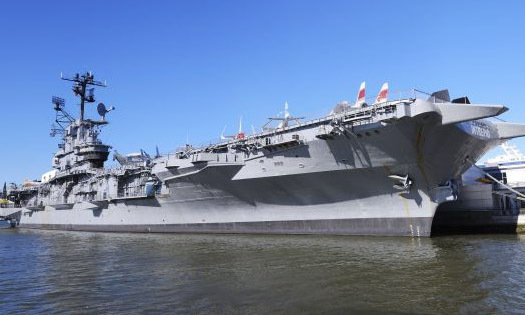 Learn about the USS Intrepid and its brave missions from World War II, discover the role early space missions played, and immerse yourself in the science and history of the Enterprise - the prototype NASA space shuttle that paved the way to America's successful space shuttle program. Explore over 500 bizarre and unique exhibits spread across 20 themed galleries. 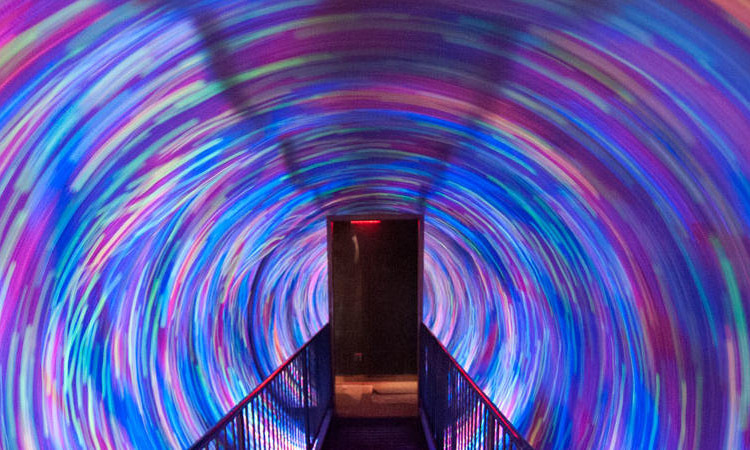 Make your way through a web of laser beams in Ripley’s Impossible LaseRace, brace yourself for a head-shrinking Amazonian Makeover, walk through the sense-altering Black Hole tunnel and much more. Spread across 220,000 square feet, browse over 21,000 paintings, sculptures, drawings, prints, photographs, films, videos, and artifacts by more than 3,000 brilliant artists. 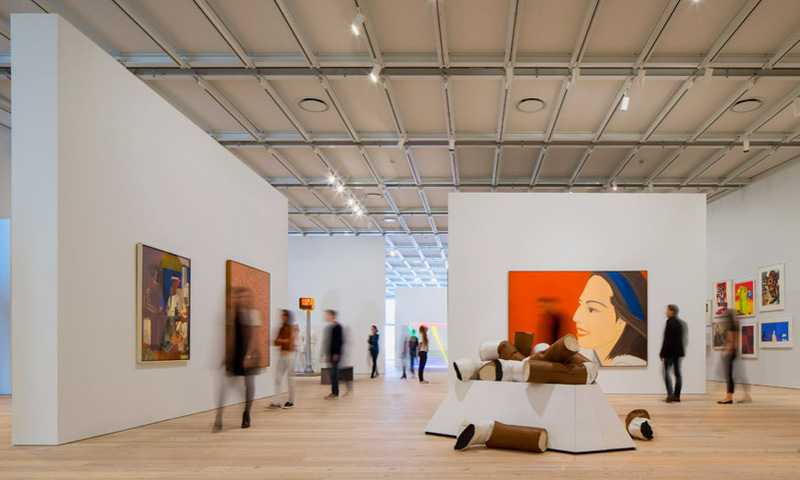 The ﻿permanent﻿ collection consists of works by American artists like Louise Bourgeois, Man Ray, Jasper Johns and Andy Warhol. 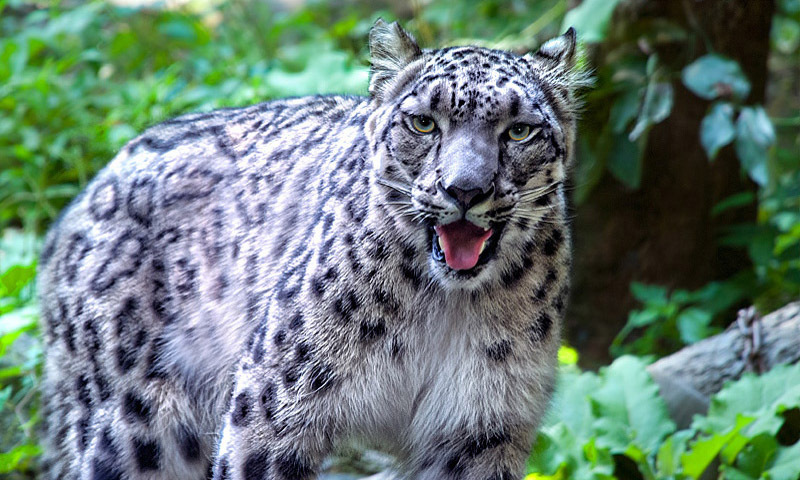 Home to over 4,000 animals the Bronx zoo is spread across 265 acres of lush green terrain. The all-access-entry allows you to also enjoy the zoo’s rides and attractions. Explore the butterfly garden, spot the lions, feed the penguins and ride the Wild Asia Monorail to see elephants, antelopes and rhinos. Bruce Willis, Marilyn Monroe, Lady Gaga, Jennifer Aniston, Thor, Captain America, Yao Ming, Shahrukh Khan, Mohammad Ali - see all your favorite movie stars, sports legends and heros come to life! Well, sort of. 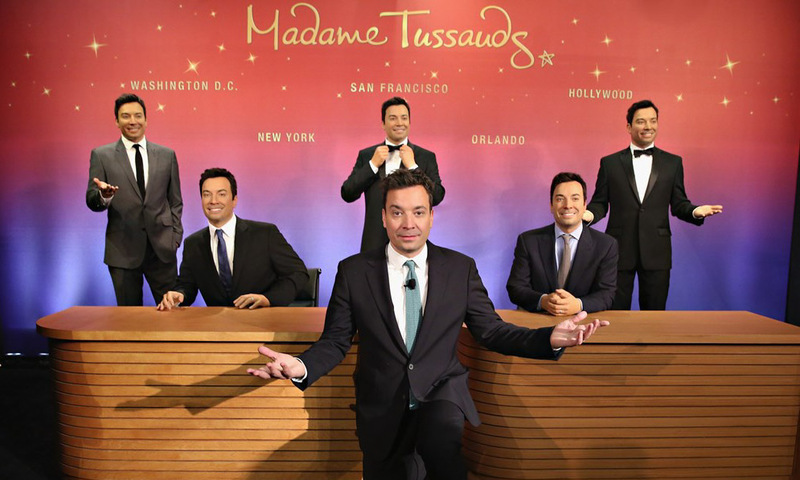 Over 200 unbelievably convincing wax figures will make you feel as though you’re hanging out with famous. 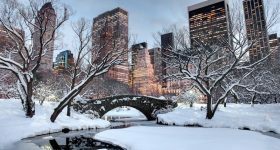 Home to the world famous Christmas Tree, NBC Studios, ice skating rink, The Associated Press and much more, explore one of NYC’s most iconic buildings. 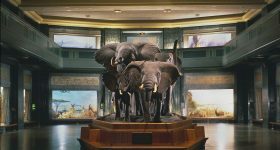 Marvel at the magnificent Art Deco architecture and learn all about the history of the family behind the landmark. Imagine the iconic “A Whole New World”, set to Aladdin whisking Jasmine away on his magic carpet for a ride around the world, recreated for a live audience! 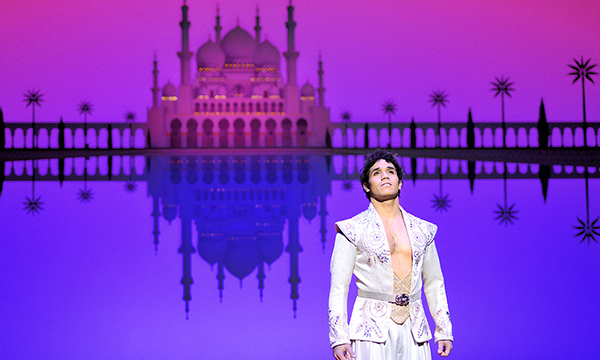 This and many more magical moments make Aladdin the perfect show for kids and adults alike. 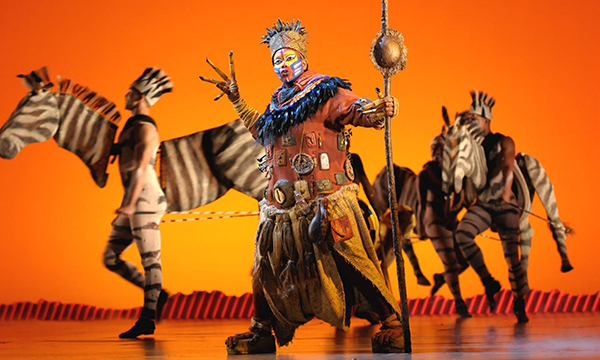 You can’t go wrong with Disney on Broadway - The Lion King has more than proved itself as an outstanding production with its relatable, coming of age story and iconic songs. Presented in all the wondrous glory of the original animated classic, this colorful show is a theater favorite. 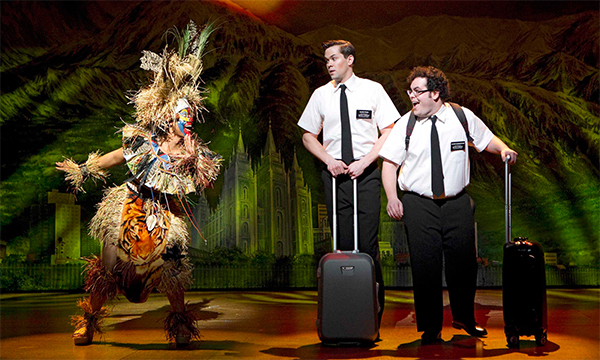 In a world where taking offence has become a day job, The Book of Mormon presents an outrageously hilarious comedy about the quirks and intricacies of Mormon culture. It's a satire play for black comedy lovers. Who doesn’t love Bette Midler? 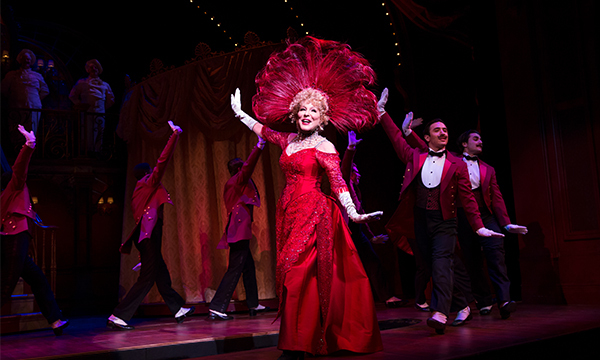 The singer-actress brings her brand of humor to the iconic Hello, Dolly!, a story about a matchmaker who falls in love with one of her clients. 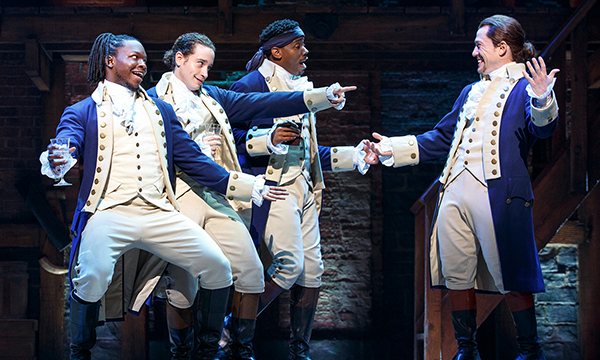 Based on the life and times of America’s founding father, Alexander Hamilton, Broadway’s biggest breakout musical Hamilton blends history and rap like no other production has! 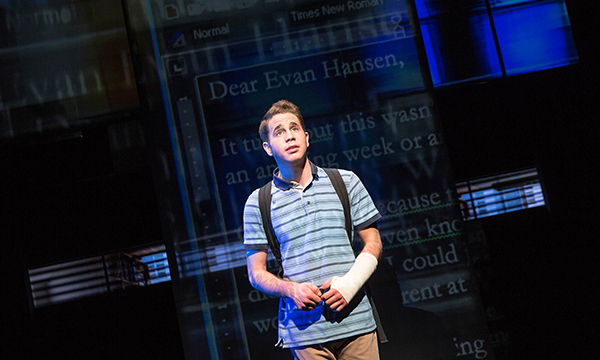 Tackling the challenging years of high school, Dear Evan Hansen is a deeply moving, contemporary story about what it’s like to be an outsider and the impact a seemingly simple lie can have. 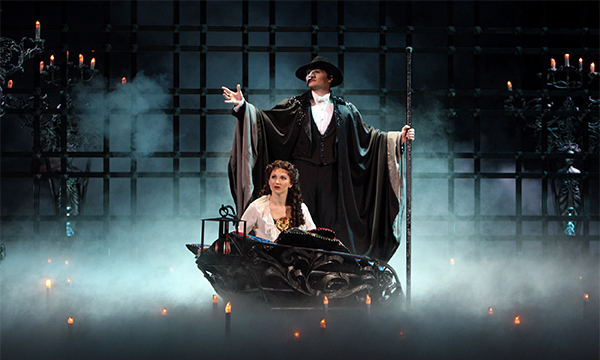 Join the elusive Phantom and Christine, a young soprano, as they engage in a torrid, unconventional romance. Backed with iconic songs like the "Music of the Night" and "The Phantom of the Opera", Broadway's longest running show is a must-see. 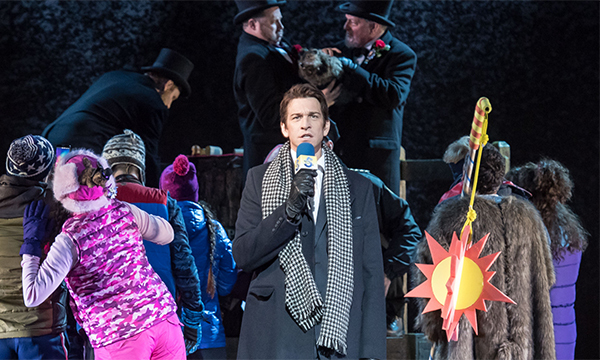 Groundhog Day, the favorite time loop comedy from the 90s, is now on Broadway and it’s still as funny as you remember the movie to be. 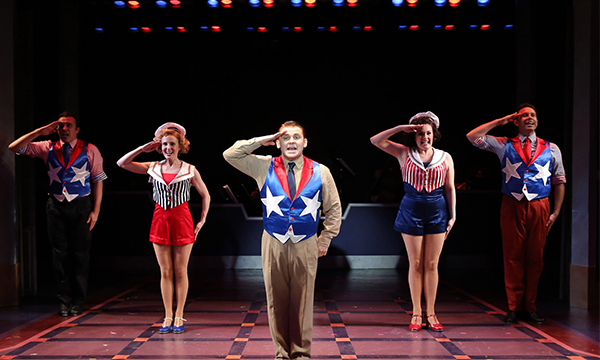 New to the stage, the show has received rave reviews from critics and audiences alike! 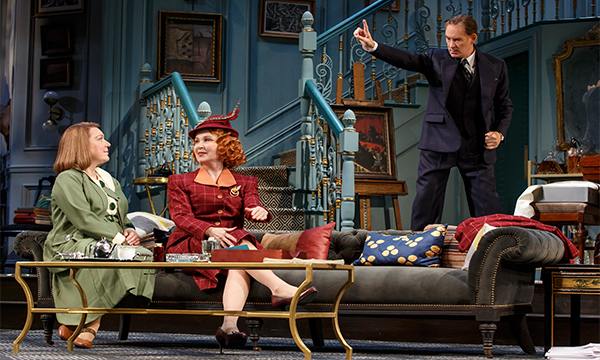 Present Laughter, starring theatre favourite Kevin Kline, is a laugh out loud comedy based on Noel Crawford’s play that highlights an actor’s struggle with normal human situations like a mid-life crisis. Adapted from Leo Tolstoy’s "War and Peace", The Great Comet is a stirring tale of love and longing during the time of war. The show features a career making performance by Denee Benton as Natasha, and some exemplary work from Broadway regular Josh Groban. Discover the inspiring origin story of Hollywood star James Cagney, as he navigates the busy streets of New York to become the music and dance man that he is today. 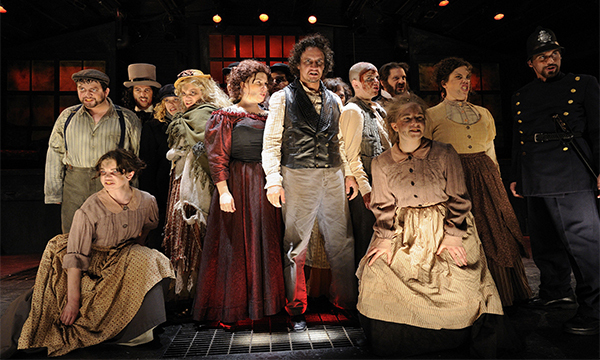 Featuring fabulous performances from a talented cast, plus an audience interaction like you've never seen before, Sweeney Todd is not just a show but rather an amazing theatrical experience! Don Giovanni gets its music from Wolfgang Amadeus Mozart. The opera first premiered on in January of 1787 at the Estates Theatre. 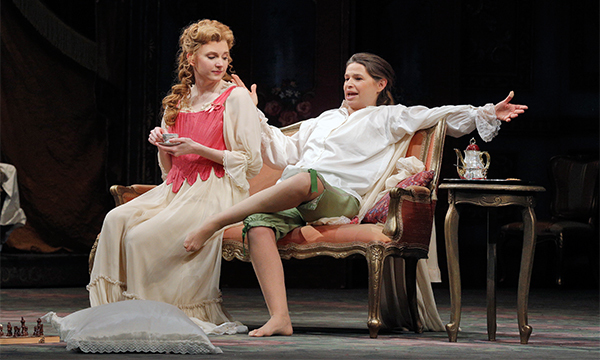 Spread across two acts, this opera is the perfect amalgamation of comedy and drama. Cyrano de Bergerac was written by Edmund Rostand and finally premiered on January 22, 1936. Interestingly, the play is written in the form a verse with no more than 12 syllables per line! 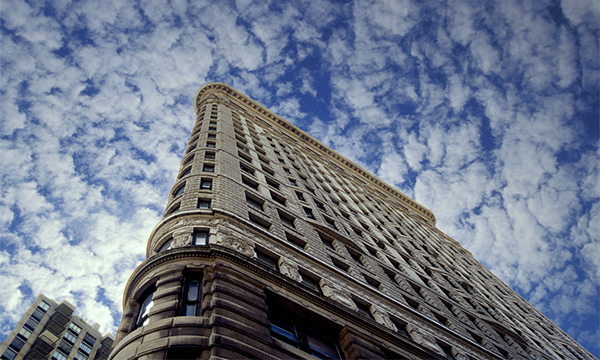 All the museums on Fifth Avenue come together annually to celebrate the city’s rich heritage by opening their doors to visitors from 6-9pm, free of charge! On the rooftop of the MET Museum, you’ll find a charming bar that serves wine, cocktails and light bites. Relax and soak up dazzling views of Central Park and beyond. 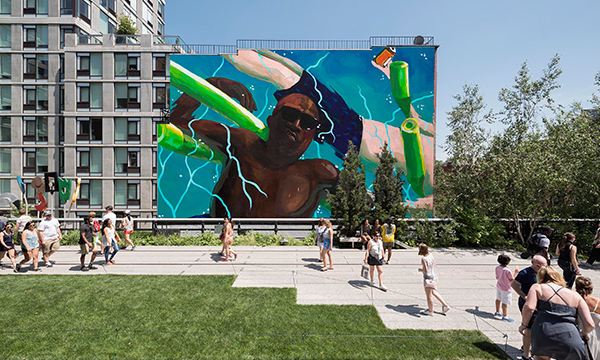 Head to the High Line, home to numerous exciting performances, and check out the many sculptures and murals. Their current delightful exhibition, 'Mutations', will be the highlight of the season. 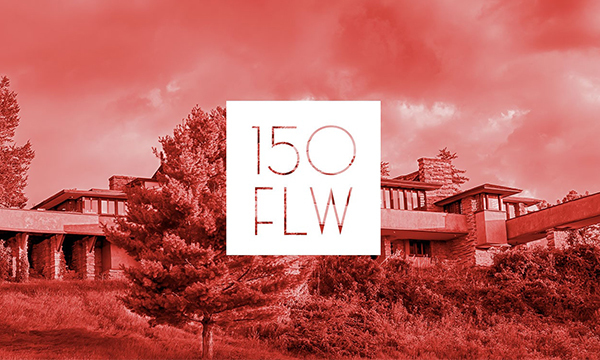 A critically enriching exploration into the life and work of the extraordinary architect Frank Lloyd Wright, this exhibition offers visitors a﻿ ﻿look at his most famous pieces from a different, fresh perspective. Rediscover the golden era of Jazz with the 'Jazz Age' exhibition at the Cooper Hewitt Museum. 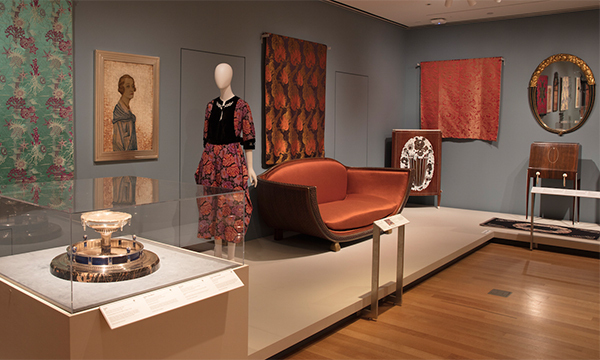 Explore the changing American taste through furniture, jewellery, art and fashion from the 20s. 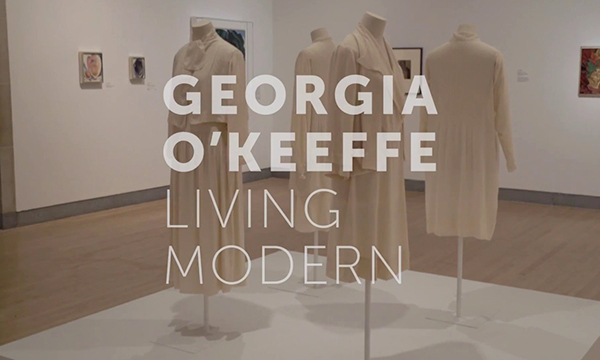 Offering a thoughtful and explorative look at modernist artist Georgia O’Keeffe, the 'Living Modern' exhibition details the impact O'Keefe had on the world of art, as well as her audience. 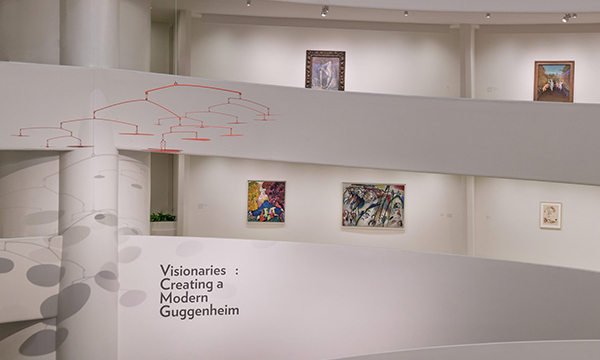 Presented by curator, Megan Fontanella, 'Visionaries: Creating a Modern Guggenheim' exhibits over 170 modern works from the famed Guggenheim collection in a fresh new light. 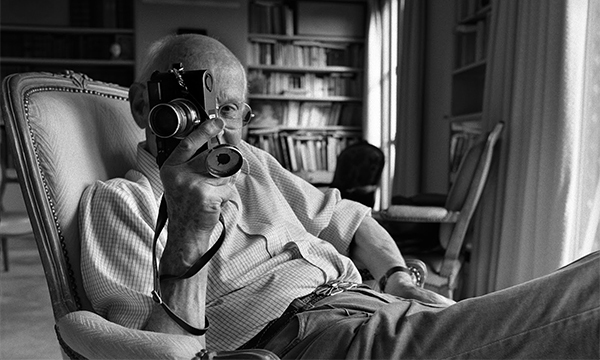 Showcasing select photography by Henri Cartier-Bresson, 'India in Full Frame' offers a behind the lens view of India in the mid-twentieth century, a period marked with political and social transformation. 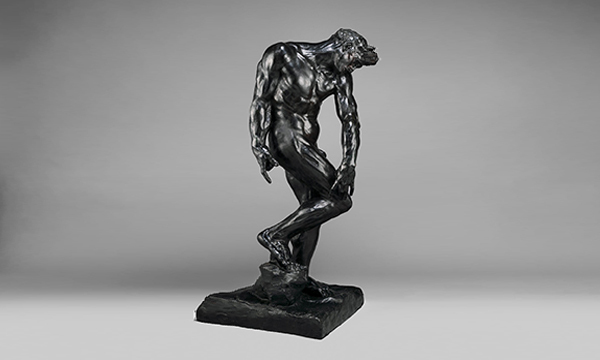 Honor the centenary of famed French sculptor Rodin’s death with a look at some of his most acclaimed work, including 'The Thinker', 'The Hand of God', and 'The Tempest'. 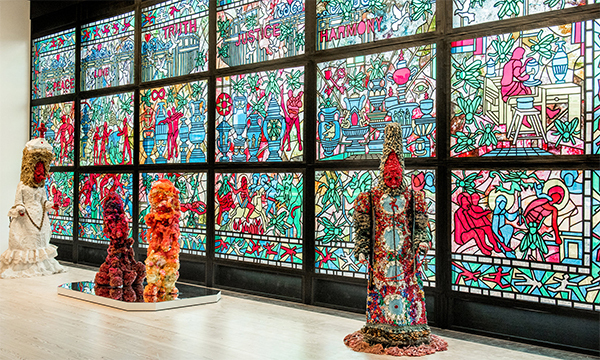 The 78th installment of the Whitney Biennial brings along thought provoking artists and creators that challenge us with art that reflects and questions the troubling times our society is currently going through. 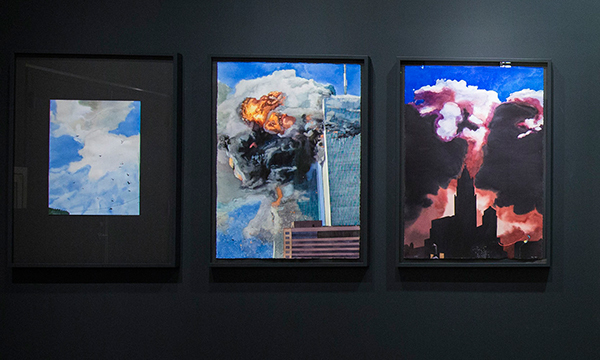 13 artists express their reaction to the dreadful 9/11 terror attack in different mediums, such as paintings, sculptures, writing, and videos. This is first opportunity to catch a these works in one presentation. 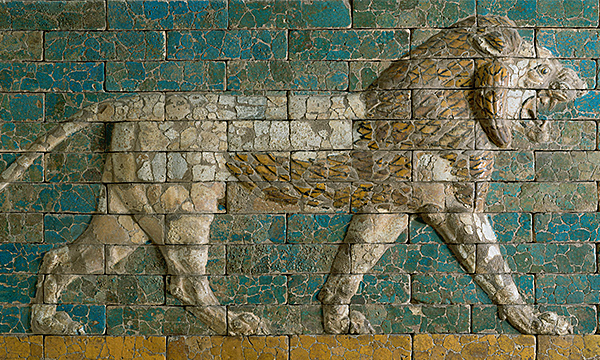 'Noah’s Beasts' presents Mesopotamian sculptural works from 3300–2250 B.C., bringing together timepieces from the Metropolitan Museum of Art, the Yale University Babylonian Collection and others, for the very first time! What better way to experience culture than through food? 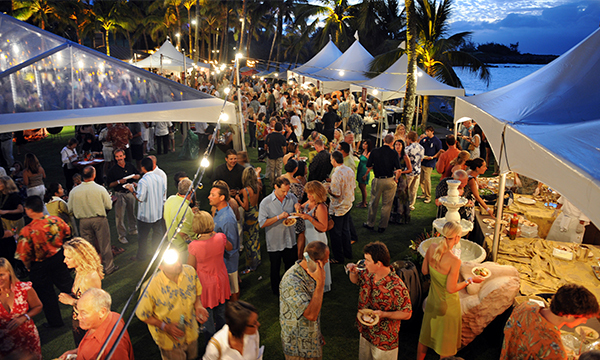 This Famous Food Festival event will feature 40 exclusive food vendors, 100+ non-food vendors and 40,000+ sq. ft of outdoor space to have tons of fun in! 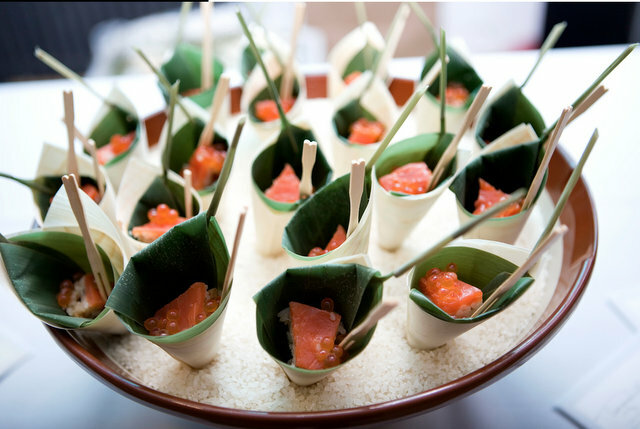 Join Tribeca’s top chefs and restaurants for a fun outdoor food tasting fundraiser. All proceeds from the event will go toward arts and enrichment programs for local public schools. Sample vegan foods and learn all about the benefits of nature from expert plant-based doctors, authors, leaders, chefs, fitness professionals and more. The festival will also feature a special spot for kids’ activities. 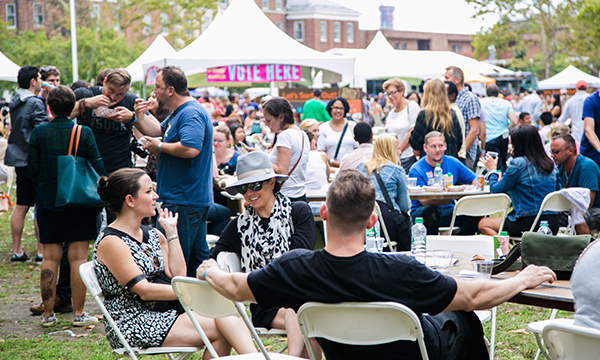 Kick off the summer with an all-inclusive outdoor festival featuring the best grill stations, craft beer, cider and more! Must be 21 or older to attend. 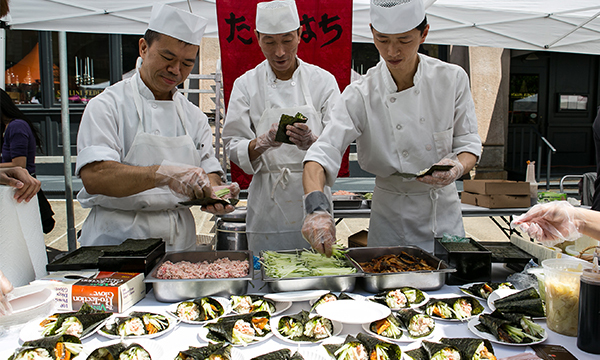 Celebrate food culture and witness a spirited cook-off between the most popular sidewalk chefs in NYC! This fundraiser event supports the Street Vendor Project and promotes the growth of small businesses. The perfect event for coffee and art lovers, this annual festival brings you live music, art, food and everything related to coffee! 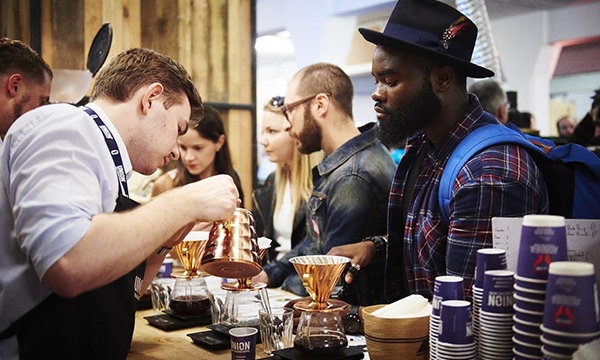 Celebrate your favorite brew at this flagship coffee event. Dance, eat, and drink your way through the best craft beer and wine Brooklyn has to offer. This ultimate tasting experience will also feature guest DJs and an array of live performances. 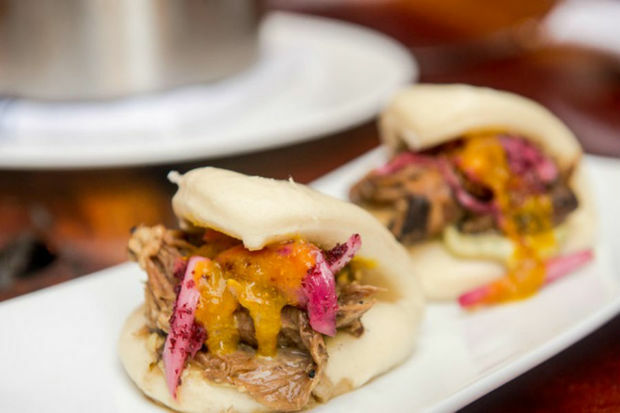 Every summer and winter, Restaurant Week hits New York City with some of the best flavors - and for an unbeatable bargain! 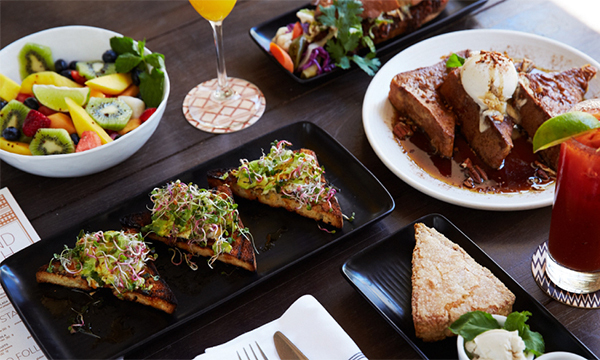 Over 380 restaurants will offer three-course pre-fixe dining deals for lunch and dinner. Eat, drink and be French! For an entire week, NYC’s most renowned French restaurants will be offering special prix-fixe menu options, giving you at taste of the best traditional dishes. 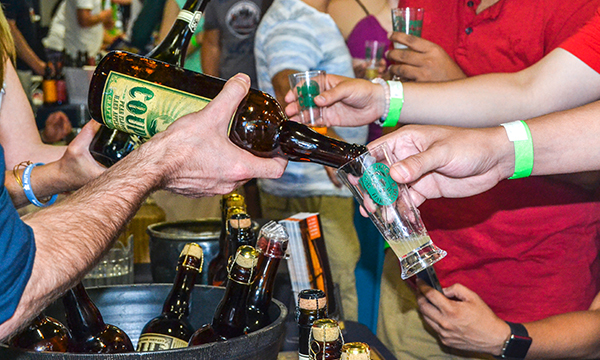 A day long, glass-full event, Bourbon Bash celebrates whiskey. Taste eight premium bourbons spread across eight fabulous bars in the downtown area. 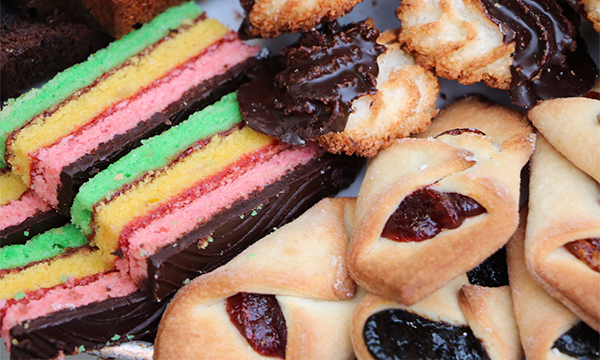 Celebrate the diverse ethnic communities of the Lower East Side. 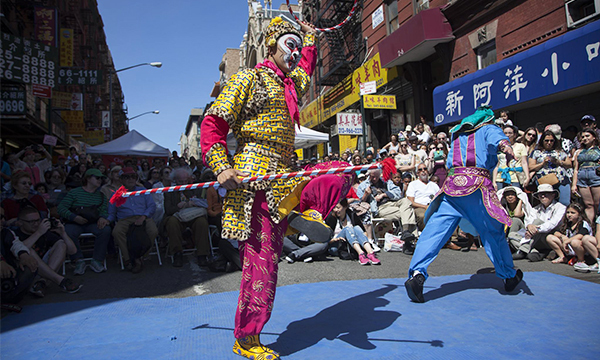 This block party includes delicious food, Chinese opera, Puerto Rican folk music, Hebrew and Chinese scribal arts, plus tons more! Take part in the biggest sake-tasting event in the world outside of Japan. 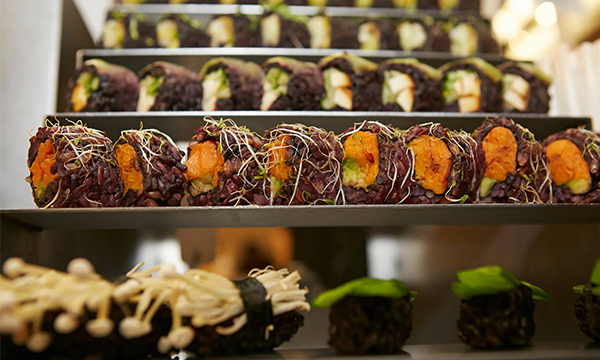 Choose from over 408 premium sakes and taste amazing sake-inspired appetizers. The 10th annual event is all about the Best of the West. 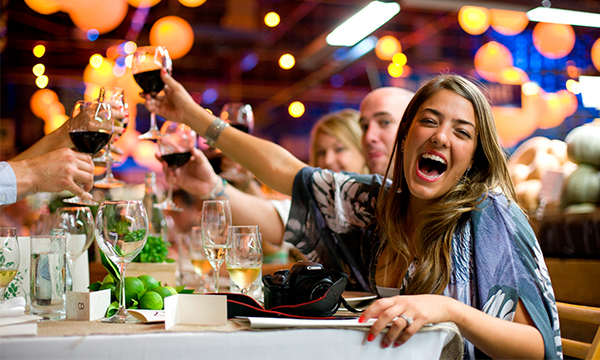 Enjoy an evening of live music from DJ Price, fine wines and stellar food from the West Side’s most illustrious chefs. 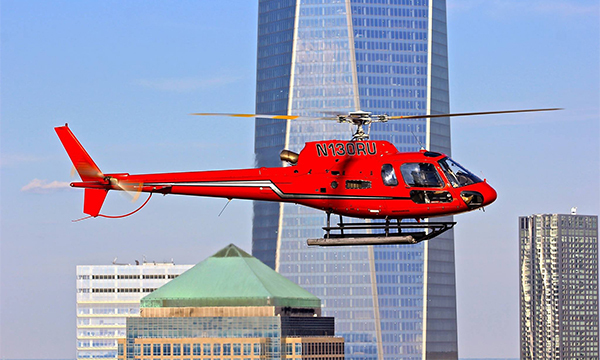 Experience aerial views of New York City’s finest sights with this 15-minute helicopter tour that takes you from Battery Park to Central Park. On this adventurous route, you’ll also pass by Lady Liberty, Times Square, Empire State Building and many other iconic NYC attractions. 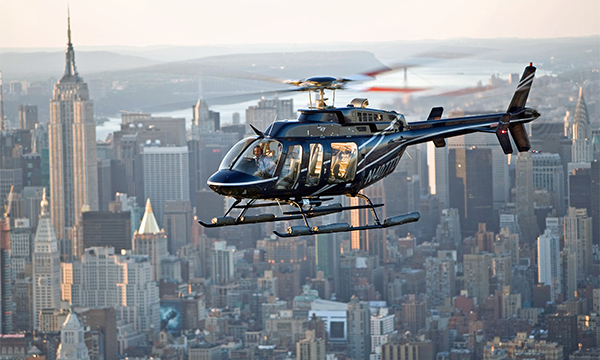 Hop onboard a state of the art Helicopter and embark on an aerial ﻿exploration﻿ of Manhattan and the Bronx! Enjoy 20 minutes of stunning visuals with expert commentary from your pilot. On this journey you will fly over the iconic Yankee Stadium, Harlem River, Central Park, Chrysler Building, Statue of Liberty and much more. Perfect for those looking to create a personalized itinerary. 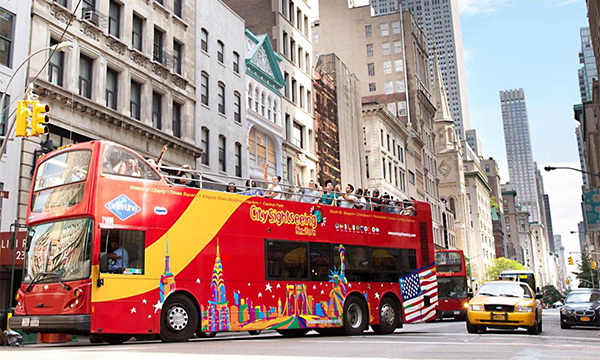 Explore the innumerable sights in and around Manhattan with the hop on/hop off pass! 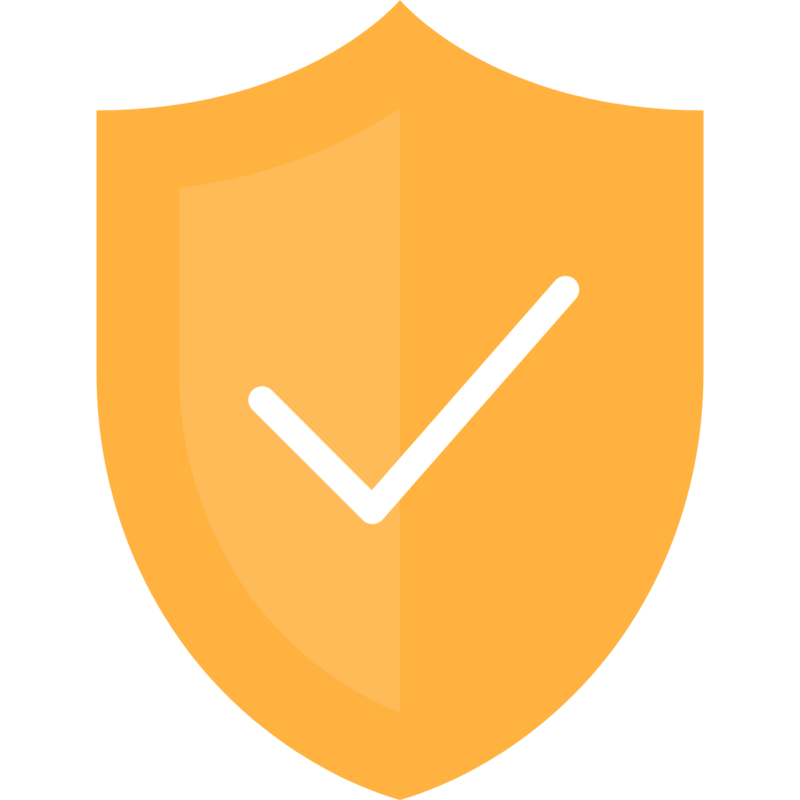 The pass gives you 24-hour access to the regular hop on/hop off service spots. Over 50 stops en route ensure all your bases are covered! Add independence, flexibility and comfort to your travel plans with this 2 day hop on/hop off bus pass. Discover the magic of New York’s two finest boroughs: Manhattan and The Bronx. 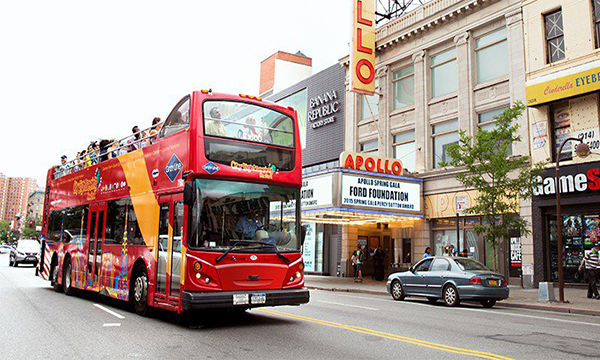 50+ Stops en route give you the freedom to explore each stop per your convenience. 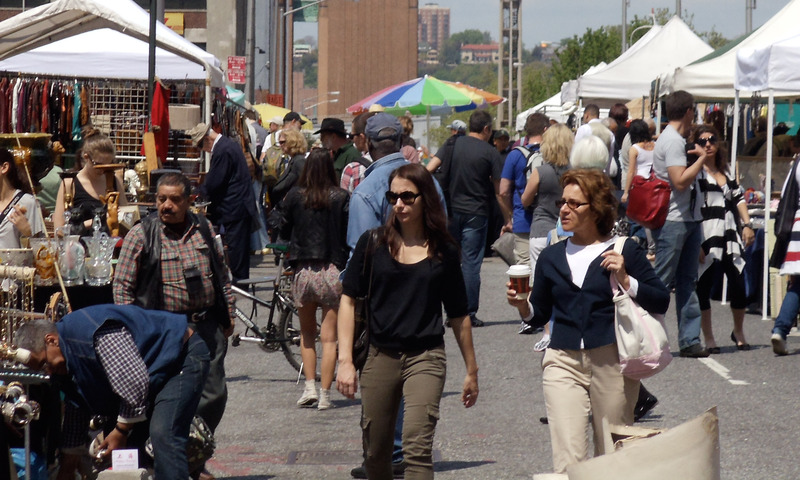 Walk around the hip neighborhood of Williamsburg, Brooklyn on this eclectic food tour. 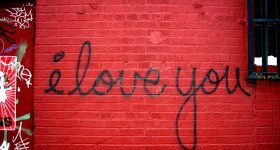 This neighborhood, known for its street art, has seen a sudden rise in top notch eateries and restaurants. 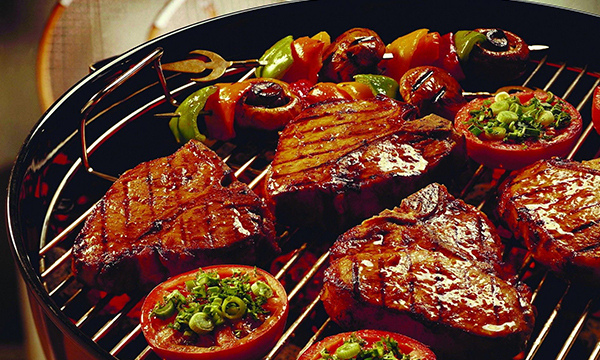 On this tour, you’ll taste some of the finest food the region has to offer. 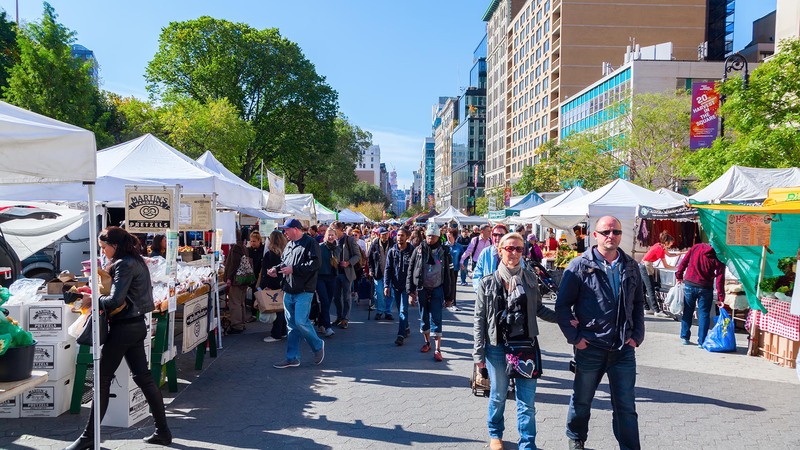 A lovely walk from the iconic Flatiron district to Union Square, coupled with tastings at New York’s most iconic food joints - it doesn’t get any better than this. The grub tour includes a tasting at Eataly and a full portion of the classic New York cheese burger! 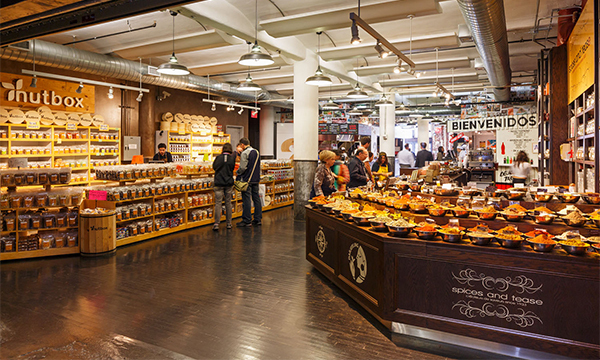 The Chelsea Market is New York’s biggest & oldest indoor food market. Explore this 117-year old marvel and taste food from the best vendors. On this tour, you’ll also be guided through the trendy Meatpacking District. The tour concludes with a visit to New York’s only elevated recreation zone, The High Line park! The diverse cultures present within the city of New York add to its aura and charm. Italian heritage has long lived within the colorful neighborhood of Little Italy. On this tour, walk, taste and immerse yourself into the rich Italian cuisine and culture! 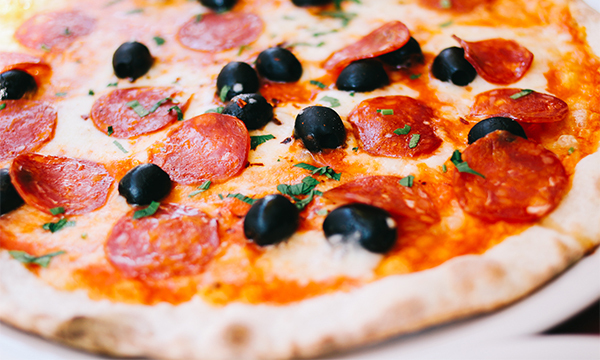 And of course, enjoy some pizza! 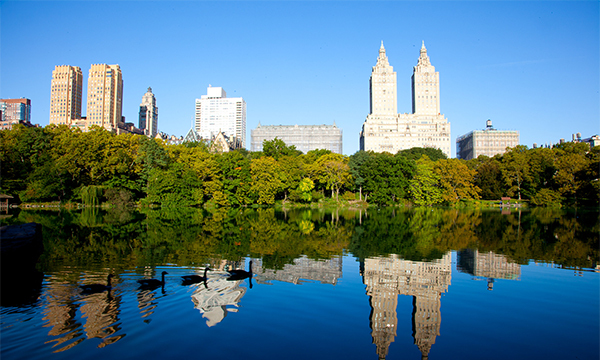 Movies, TV Series and music videos have made valiant efforts to capture the essence of Central Park. But, the aura of this gargantuan gem can only be captured by walking its paths, hearing its sounds and witnessing its beauty with your own eyes! 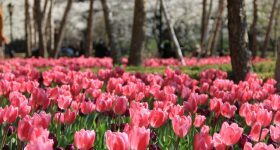 This 2-hour walking tour is made for the wanderers looking for a thorough exploration of the park! Hop on a tandem bike and explore the rugged terrain of the city with your loved one or best friend. Bike around Central Park, have a picnic on the lawn and cruise around as you please. 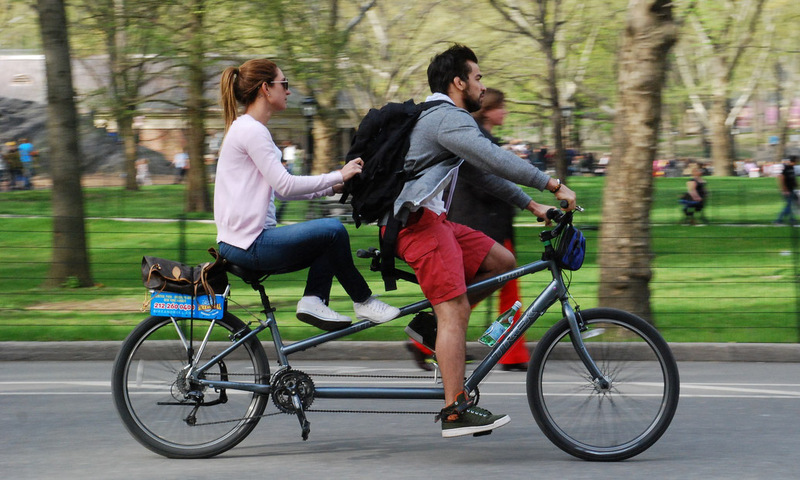 Tandem biking makes the perfect NYC date. No trip to the Big Apple is complete without a visit to ﻿Liberty﻿ Island! 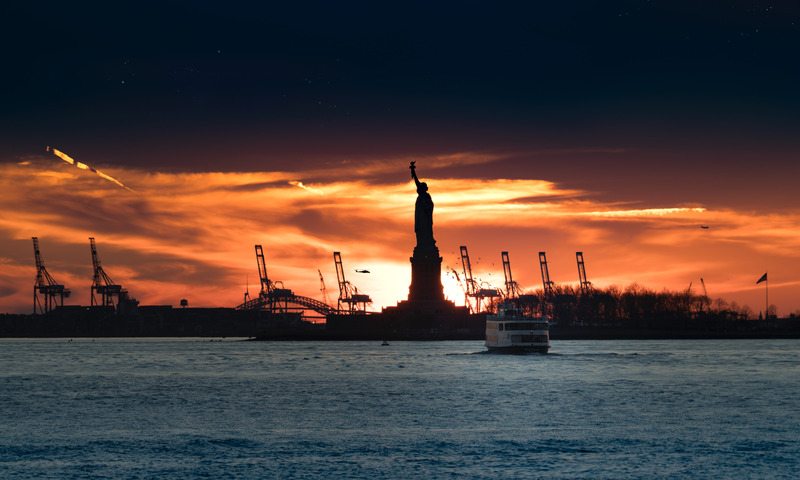 The statue of Liberty stands tall on the Hudson, attracting millions of visitors each year! 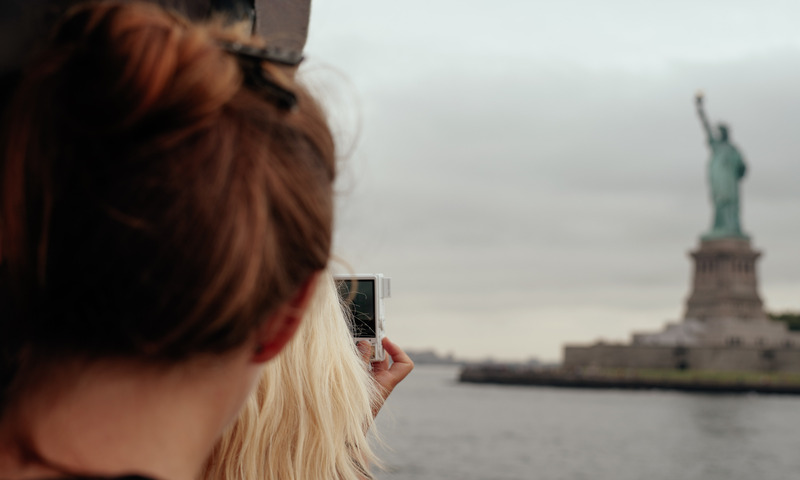 The tour takes you on a cruise from Battery Park to Liberty & Ellis Island and gives you access to the grounds of Liberty Island. Greenwich Village hosts New York’s finest Jazz clubs. Discover the country’s rich Jazz history and learn about some of the finest underground artists on this walking tour. 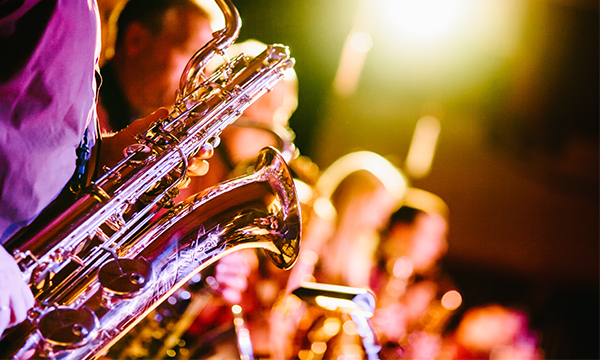 You will visit over 3 jazz clubs while getting up-close and personal with many of the performers. By the end of the tour, you are sure to have a newfound appreciation of Jazz Music. 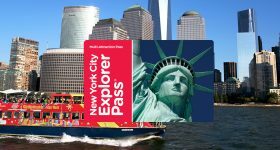 The Liberty Cruise is the best way to see the Statue of Liberty, Liberty Island, South Street Seaport, The World Trade Center, World Financial Center and many more. A 1-hour, well narrated experience with stunning views of the city from the water - this tour is a great way to see a NYC's iconic sights. This section of Midtown is one of the most luxurious retail havens. Visit upscale department stores like Bergdorf Goodman, multinational retailers like Zara and H&M, as well as dozens of other popular non-clothing stores such as the 24-hour Apple Store and Tiffany & Co.
Splurge, or just window show, at some of the world’s top luxury designers and high-end department stores in this fashion corner of the city. This mega shopping emporium is the nation’s largest, and perhaps most famous, department store. 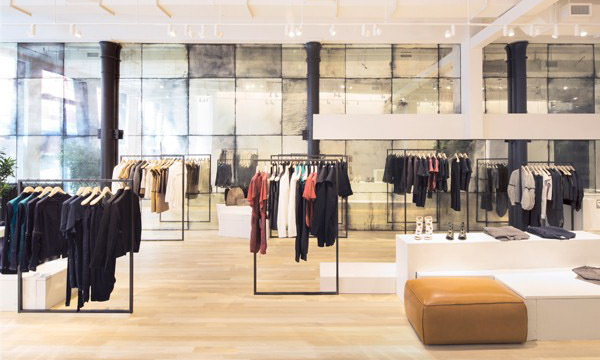 From houseware to clothing, this 11 floor store covers an entire city block! This SoHo street is home to a hip collection of trendy boutiques and independent designers. Less trafficked than Broadway, yet just as worth visiting, this six-block stretch boasts some excellent shopping options. 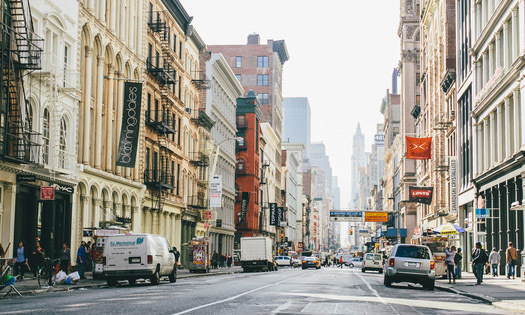 From bargain shops to upscale boutiques, SoHo has it all. On weekends, vendors along Prince Street and West Broadway sell a variety of unique jewelry, art books, paintings, and more. 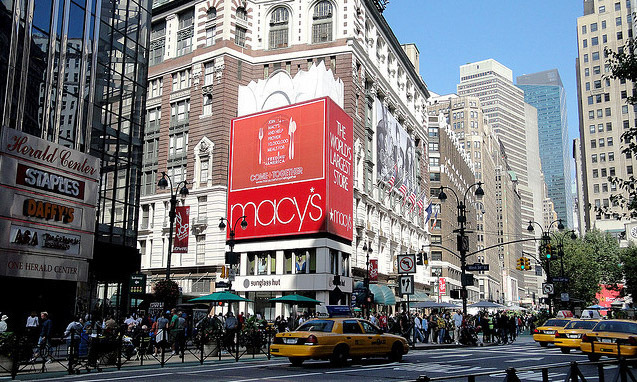 When it comes to fashion, New York City is a shopper’s paradise. 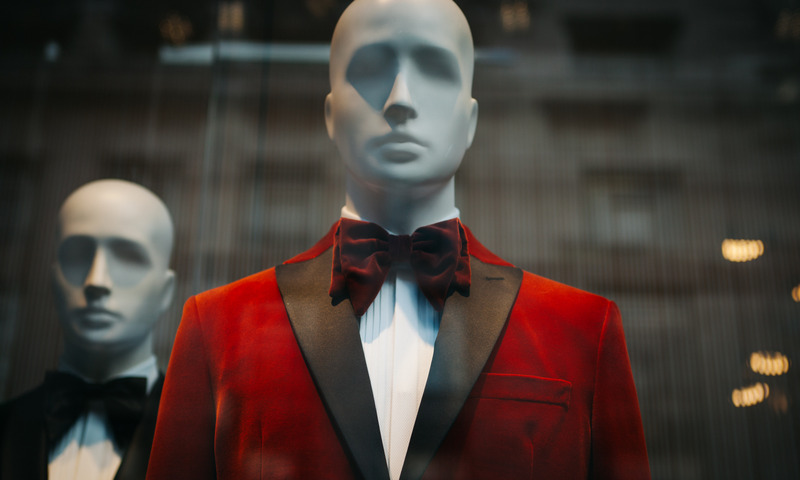 These shopping tours will get you special access to wholesale designer showrooms, exclusive discounts and much more. Explore over 100 vendors at this year-round weekend bazaar. Furniture, jewelry, vintage clothing, art pieces and more - bring your haggling skills and see what treasures you can find. Image Source: Just Jamie Scarves! 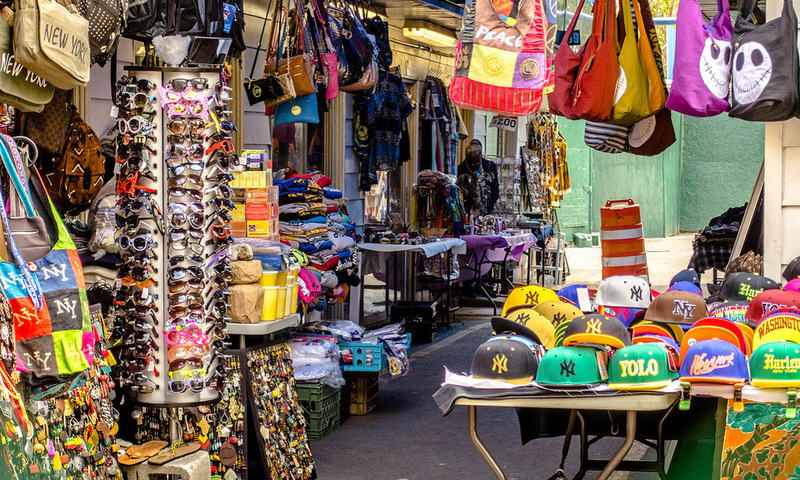 Whether you’re looking for handmade jewelry, silkscreened tees, or baby clothes - NoLita Artisan Market has it all. You can also place custom orders with many of the vendors. 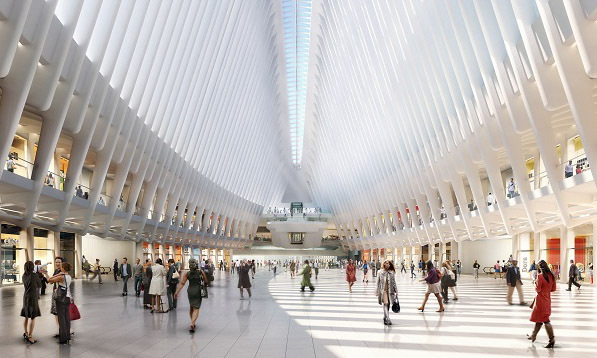 Much more than just a mall, Westfield World Trade Center combines shopping, dining, architecture, art and culture. Experience innovative food at one of the restaurants, attend an event, or catch one of the unique pop-up shops. 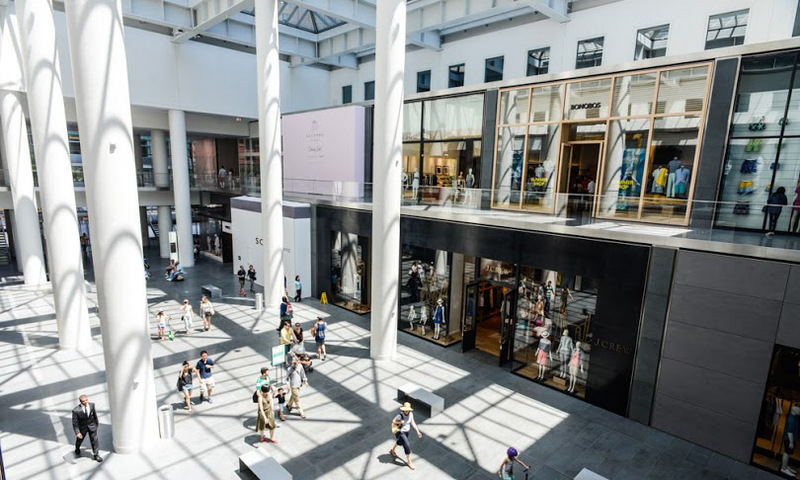 Located just south of TriBeca along the Hudson River waterfront is one of the city’s most posh shopping centers. 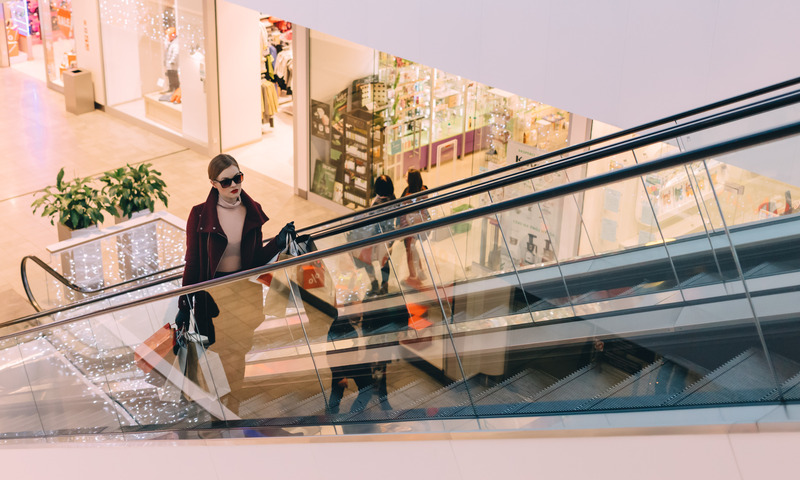 From international fashion houses and speciality shops to fine dining and world-class cultural events, it’s a haven of luxury. This canopied bazaar specializes in fantastic African crafts, clothes, textiles, drums, sculptures and accessories. It’s an excellent spot to soak up some culture and get your hands on traditional treasures. 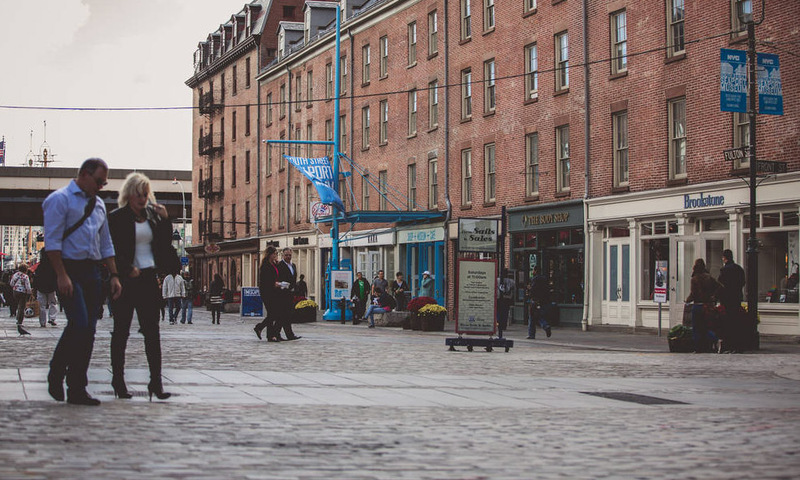 A great place for shopping, cultural events and nightlife, South Seaport is also one of Manhattan’s most historic areas. Visit one of the shopping malls, wander through the weekend Fulton Stall farmer’s market and sample the gourmet street food. In New York City, there's never a dull moment. Use this guide to plan the perfect summer in the Big Apple. They say NYC never sleeps; we say, neither should you! 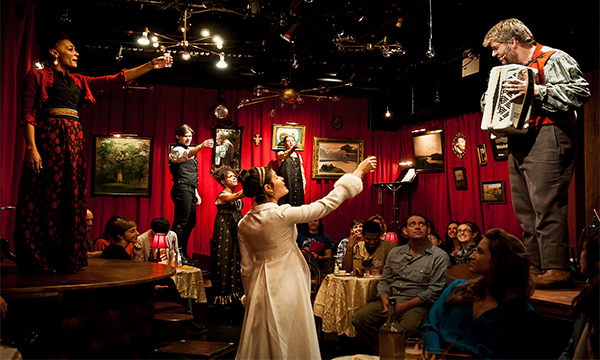 ​Next, check out our guide to the 30 Best Restaurants in the Theater District. 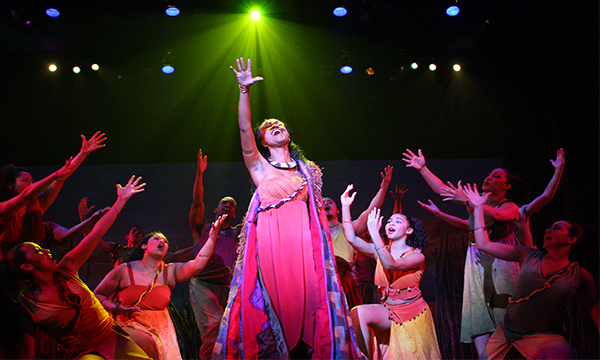 Also, see our guide to This Season's﻿﻿ Best ﻿Broadway and Off Broadway Sho﻿ws.